President Donald Trump is telling a law enforcement conference in Missouri how his administration is giving them the resources to do their jobs. Trump says there are more than 200 new violent crime prosecutors nationwide and cities have access to $600 million worth of surplus military equipment. He says funding for a program that encourages federal, state and local authorities to collaborate on crime fighting strategies was increased by $50 million this year. The president says he’ll ask Congress for more money next year, but he didn’t say how much he planned to ask for. Trump says he’s also making police officers a top priority and believes anyone who kills a cop should face the death penalty. Trump is addressing the Project Safe Neighborhoods conference being held in Kansas City. President Donald Trump is in Missouri to address a national conference on crime. 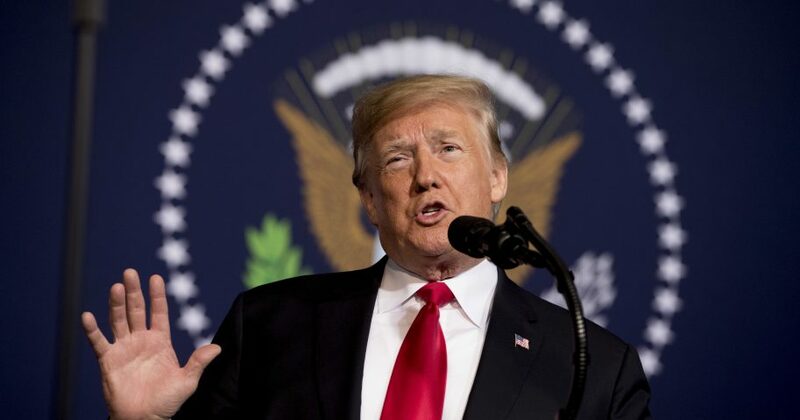 Trump is delivering the closing address Friday at the 2018 Project Safe Neighborhoods National Conference in Kansas City, Missouri. The meeting is sponsored by the Justice Department. The White House says Project Safe Neighborhoods is the centerpiece of the department’s strategy for reducing violent crime. The program encourages federal, state and local law enforcement officials to work together on crime-reduction strategies. Acting Attorney General Matthew Whitaker addressed the conference and highlighted record violent crime prosecutions, including federal firearm charges and drug defendants. Whitaker said that, while “the numbers speak for themselves,” the goal is not to fill up jails or the courts, but to reduce crime. Deputy Attorney General Rod Rosenstein also addressed the conference.